In every city, every month Tech After Five connects the tech community. We invite IT Professionals, Startups, Entrepreneurs and Service Providers to the IT Community to come together and make meaningful professional connections. The first Tech After Five was in Greenville, SC on February 20, 2008. Now, 11 years later, we've have hosted 500 events where we bring the IT community together within cities between cities. We are a community of communities. You may be looking for work or looking to hire. You might be looking for customers or prospects. You may need co-founders, partners or mentors. We’ve got you covered. Tech After Five is not like other networking events. We work particularly hard to make sure we get the right people in the room and then make sure it’s easy for you to find each other. Sign up using the right ticket type for you. We will then follow up with custom emails that let you know who you can expect to meet. We will print custom badges for the event that make it easy for you to find the people you are looking for. We know that networking can be hard. We try to make it as easy as possible for you to meet the right people. We know that when smart people come together we can make things happen. We hope you will join us and become part of our community. By the way, have you checked out the Tech After Five podcast? We’ve got ideas you can use at our events as well as introductions to important people and ideas. 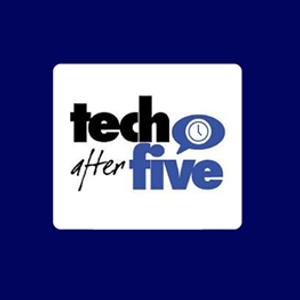 Check out the “Tech After Five Podcast” on Apple Podcasts, Stitcher, Spotify, Google Podcasts, Pocket Casts, Anchor FM and more! 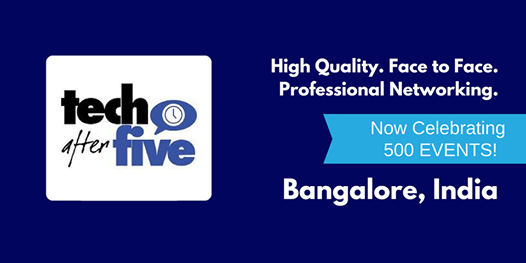 The hosts for Tech After Five: Bangalore are Shashidhar Jakkali and Geetha Ramamurthy. Mr. Jakkali is a serial tech entrepreneur with over 20 years’ experience in the global IT industry. He is also the promoter and a mentor at the start-up incubation centers “Let’s START” and “Smart Co-Work.” Ms. Ramamurthy is the co-founder and CEO of “Ignite Career Confidence,” a communication and career skills development company located in Boston and Bangalore. She is also an advisor to Keiretsu, a large global angel network. We are pleased to have these great hosts to kick off what will be a great event.